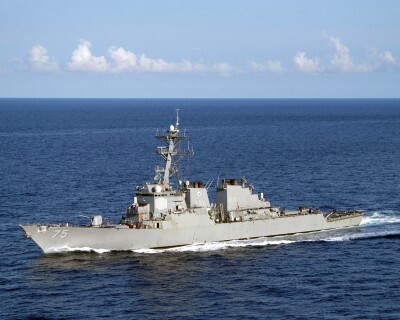 “Russian attack jets flew “dangerously close” to a U.S. Navy destroyer numerous times in the Baltic Sea this week, according to U.S. officials, continuing a pattern of behavior in the region that the Defense Department has previously decried. The US destroyer was stationed at the Polish port of Gdynia, within about 100 km of Russia’s Kalingrad enclave according to news reports. The USS Donald Cook, while navigating within international waters has the unspoken mandate to “police” those waters within proximity of Kalingrad, which is an enclave of the Russian Federation. Kalingrad is home to Russia’s Baltic Fleet. US-NATO routinely conduct war games in the Baltic Sea off the Kalingrad coastline.